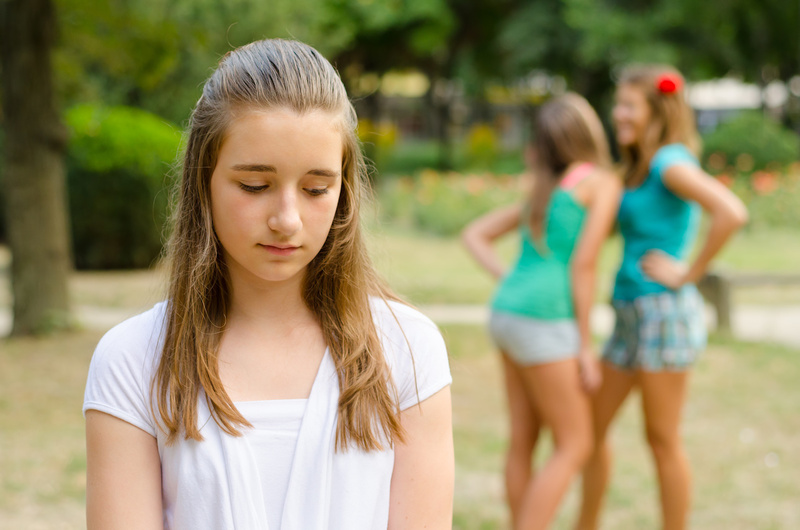 Although it may seem like ordinary shyness, social anxiety is a disorder that can prevent kids and teens from making and maintaining meaningful friendships and relationships for an entire lifetime. Fortunately, if successfully managed during early childhood, you can help your child create a thriving social circle. The following is an overview of seven signs your child is having trouble making friends and may suffer from social anxiety. One of the key elements to making new friends is being able to hold a decent conversation. If you notice that your child seems to struggle with the simple back and forth of maintaining a conversation, this may be a sign that she has social anxiety issues. On another note, those with social anxiety do not just struggle with conversation, they may also struggle with small tasks such as ordering their own food at restaurants. This is due to the fact that those with social anxiety are often fearful of being ridiculed for making a mistake and thus, often dislike being put on the spot in any capacity. As a result, they may hesitate with simple things such as placing a food order. While is it perfectly normal for kids to want to stay home with their family, they should also want to go out and be social on occasion as well. If your child seems to dread every activity taking place outside the home or repeatedly turns down invitations, they may be a homebody who is socially anxious. If your child is known for sneaking off into a corner or another room during social gatherings, this is a sign of anxiety. Those with social issues tend to become overwhelmed much more quickly than others. Subsequently, they are often seen trying to steal a few moments alone in order to recharge. This makes it difficult for them to connect with others. While it is perfectly acceptable for anyone to shy away from attention at any time, children with social anxiety do this every time. No matter if it is their birthday, a holiday, or any other time you want to celebrate with them, a child with social anxiety will display some aversion to being the center of attention. While children are certainly free to hang out alone, it is not common for children to continuously choose to be alone when they have the option to be with classmates. If your child chooses to be alone in a school setting almost exclusively or they opt out of group activities on a regular basis, they may be struggling socially. We all make mistakes, but a child with social anxiety will view being corrected in front of others as a nightmare. If your child is likely to run away, cry, get angry, etc. because they were corrected on a mistake, this is a sign that they may need intervention for social anxiety. Overall, there are plenty of signs of social anxiety in children. Every child has their own unique traits and experiences. The most important thing is that your child feels that she is loved and supported. If your child struggles to make or keep friends or seems anxious in social settings, consider The Brain Balance Program. Brain Balance has worked with over 25,000 children and their families, and we know we can help yours, too.